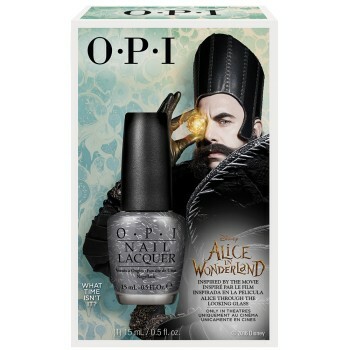 Special Edition in OPI Alice Collection: What time isn’t it? Which colors can spice up your creation most? Besides OPI’s Alice Through the Looking Glass collection, there is even a special edition dark blue-grey polish with silver strands, “What time isn’t it” single shade. Let time slip away and let the collage go wild! Also available in both lacquer and gelcolor soak-off gel.